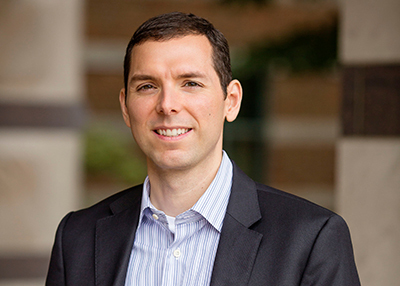 Aron K. Barbey, the Emanuel Donchin Professorial Scholar of Psychology and the director of the Center for Brain Plasticity at the Beckman Institute, has been awarded the second Mensa Foundation Prize. Professor Aron K. Barbey, the founding director of the Center for Brain Plasticity at the Beckman Institute and the Emanuel Donchin Professorial Scholar of Psychology, has been awarded the second annual Mensa Foundation Prize for making seminal contributions to the neuroscientific study of human intelligence, applying classic lesion methods and modern functional magnetic resonance imaging techniques to elucidate the neural architecture and network dynamics of general intelligence. The $10,000 award recognizes applied and fundamental discoveries in areas such as brain-related research, creation of tools and mechanisms for advancing such research, or any significant research that leads to an improved understanding of human intelligence, including artificial intelligence. Discoveries must be documented in a major peer-reviewed scientific journal to earn consideration. 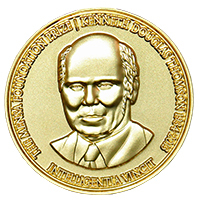 The Mensa Foundation Prize is endowed by the estate of Kenneth Douglas Thompson, who is pictured on the award medal. A full interview with Barbey is available on the Mensa Foundation website.